Assuring the Future Mission and Identity of Xavier (AFMIX) is a two-year educational process offering a comprehensive understanding of the Ignatian vision and how it can permeate learning environments inside and outside the classroom. Readings, lectures, and reflection are enhanced by weekly group discussions. AFMIX is supported by a generous gift from Phil '68 and Beth '74 Gasiewicz. With a 2004 grant from the Lilly Fellows Program in Humanities and the Arts and subsequently endowed by the XU Jesuit Community, the Program fosters a profound understanding of Jesuit education and Ignatian pedagogy through guidance by senior faculty. The learning outcomes are clearly evident within the classroom setting and showcased, by discipline, in Teaching to the Mission. 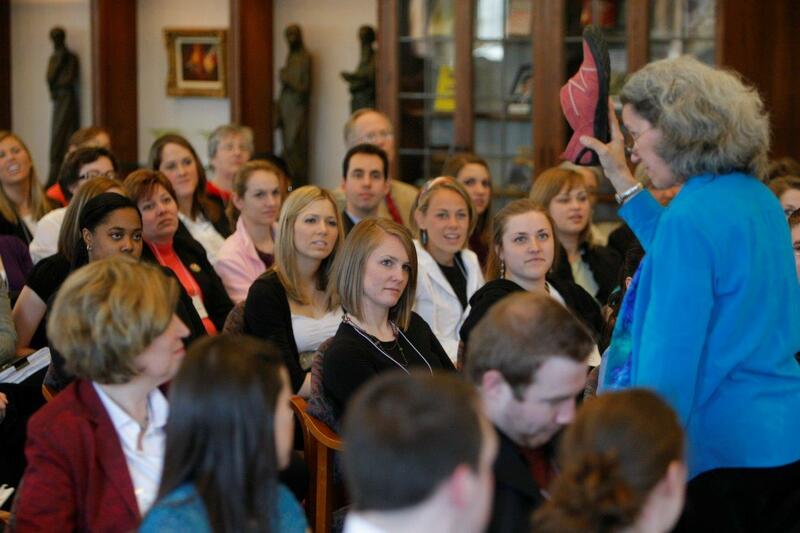 A year-long group experience of Ignatius’ Spiritual Exercises for faculty. The Center for Mission and Identity hosts a Bible Study during Advent and Lent for staff and faculty. Joe Shadle leads this brown bag lunch program for Bible study beginners and avid readers alike. Feel free to bring your Bible (or borrow one of ours). 2017: What Does it Mean to be a Mission Driven Institution? The Center for Mission and Identity actively supports the work of other people and offices in animating the Jesuit tradition. See a list of semester events open to the campus and regional community. Elected the 266th Pope on March 13, 2013, Pope Francis is annually honored at Xavier with a community presentation on a theme relevant to his papacy. In Fall 2017 we were pleased to offer a brief, engaging, in-depth program for faculty and staff who have completed a major professional development program in Xavier's Jesuit mission and identity: AFMIX, the Ignatian Colleagues Program, or the AJCU Summer Leadership Seminar. The goal is to provide a "next level" reflection on how we live out Xavier's six core values in our work. Click here for a list of participants. See the topics for each of the gatherings of the President's senior leaders. Through communal discernment, education, immersion and spirituality, groups consider ways to deepen the Jesuit identity across the campus. Discernment Group III was charged by President Graham in Spring 2010 and serves as an advisory board to the Conway Institute for Jesuit Education. For a list of participants, click here. Discernment Group II was charged by President Graham in Spring 2010 and is a council of associate vice presidents and associate deans working to deepen the Jesuit identity within the campus culture. Discernment Group I (2007-2009). Xavier's first Discernment Group, comprised of 14 faculty and administrators, were charged by President Michael Graham, S.J. to outline a plan for the future of the Division of Mission & Identity. To see their Report to the President as well as a video about their immersion experience, click here. Strengthening capacities and confidence of women leaders through personal reflection, small group conversation, and peer support. Participant groups have included: Xavier faculty and staff and graduate students, local entrepreneurs, mission officers of the AJCU, and administrators of the Upper Midwest Province (read the Jesuit News Brief). See the companion Salon booklet, Mastery and Moxie in 31 Days: A Guide and Journal for Career Women. 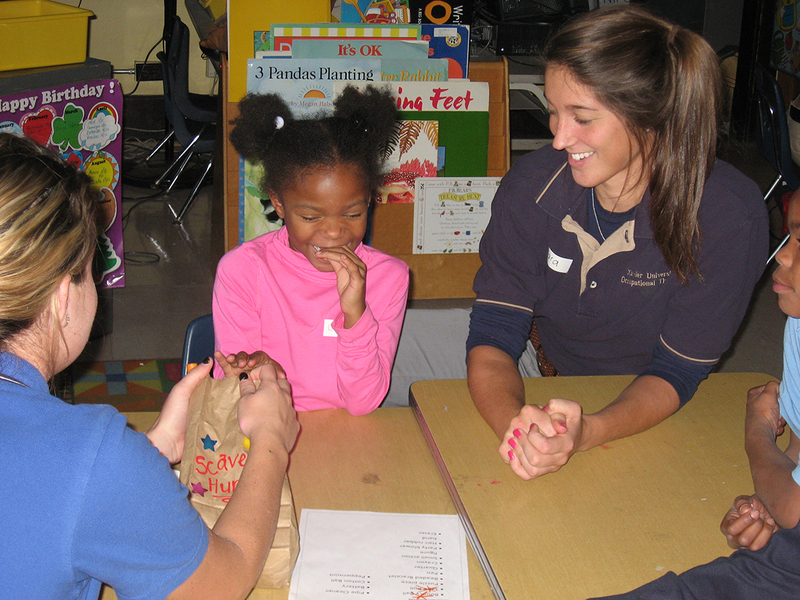 Opportunity is available to engage in Ignatius Loyola’s Spiritual Exercise and guidance. Contact Brother Darrell Burns SJ for information. 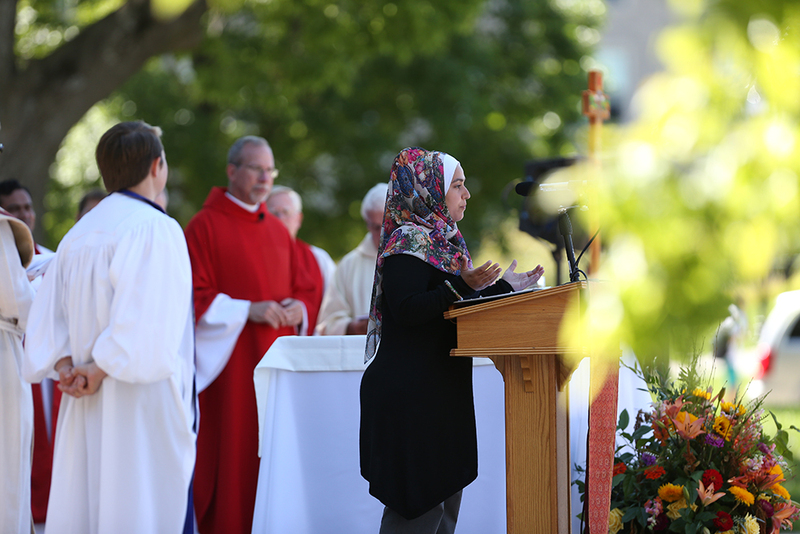 The Center assists the President's Office and Special Events in coordinating various mission-oriented events, such as the Advent Blessing, Baccalaureate Mass, and Family Weekend. 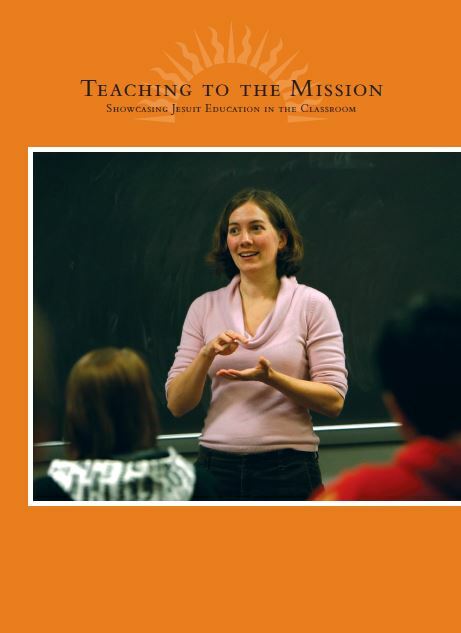 A variety of mission-related seminars are offered periodically, for instance, EntreLeadership Mastery and Moxie (2017), Xavier as a Community Engages University (2013), Sustainability and the Mission (2012), and the Jesuit Commons (2011). Understanding Our Heritage, Living the Mission provides a brief overview about Jesuit heritage and education. Each section includes a two-minute video, selected readings and reflection questions. It is useful for helping to orient Xavier staff and students, faculty, and Board of Trustees members. 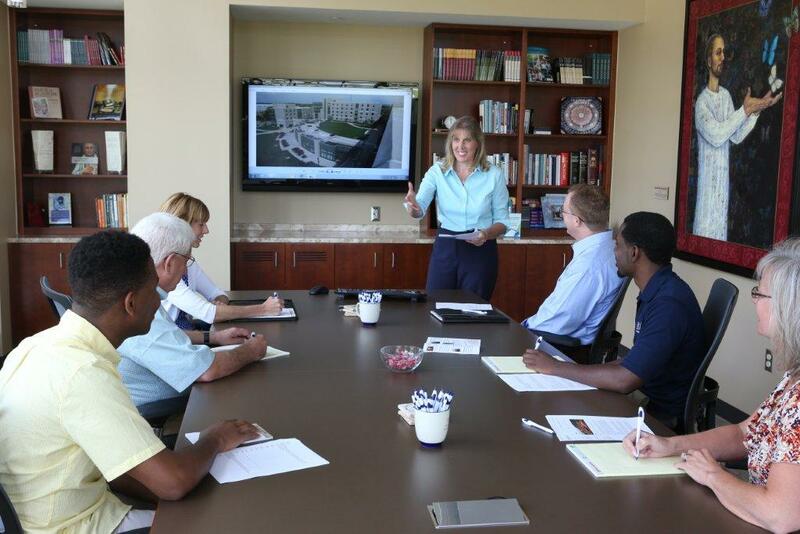 In addition, the Center's staff provide mission-related presentations as requested. Such presentations can help divisions, departments, or student groups better understand and reflect upon Xavier's mission. Mission Mentoring Program for Senior Administration: Affirming excellence in teaching scholarship and mission consciousness.